Am I a “picky” eater? Am I a health food junkie? Not even! In fact I find that even with my healthy foodie/flexitarian preferences I can almost always find something I enjoy at restaurants, family functions and friend dinners. Plus I never stress about it because my fridge is always loaded and I am more than happy to supplement my meals with extra protein and veggies when I get home. Easy peasy. And not in an “I refuse to ever eat at a restaurant or only eat fast food” kind of way. I’m happy to pay for quality restaurant fare. Its just that I hate overpaying for food and beverages that are either subpar or not at all what I expected. When this happens a bubbling rage begins to burn inside me and trust…its not a pretty sight. So here’s the high maintenance part…I tend to be very…particular…about my choices when I order. I ask for things on the side, siracha on top, my eggs poached rather than fried, an additional sweet potato here, a few crispy shallots there…whatever it is…if I’m really craving it and I see it on the menu I am never afraid to ask. Of course it is the perogative of the cooks and service staff whether they wish to accomodate, and I definitely don’t push my luck during a breakfast or lunch rush, but I figure why not ask? The worst they can say is no and I’m always perfectly accepting of that response also. As long as I ask for what I want, no matter what they say, I avoid the dreaded menu remorse and remain happily rage-free. 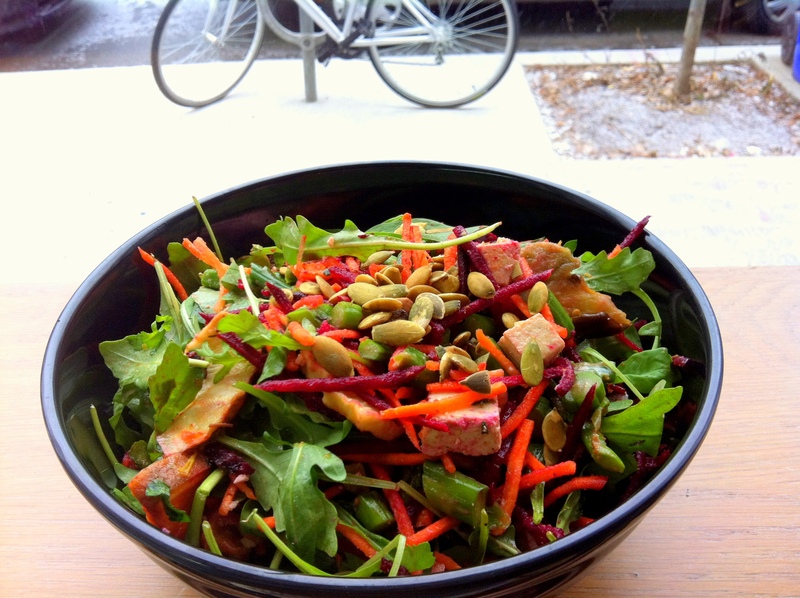 1) Monster Salad Bowl from Urban Herbivore. A good balance of protein, starchy carbs, healthy fat and fibre-licious veggies kept me full. No messing around. 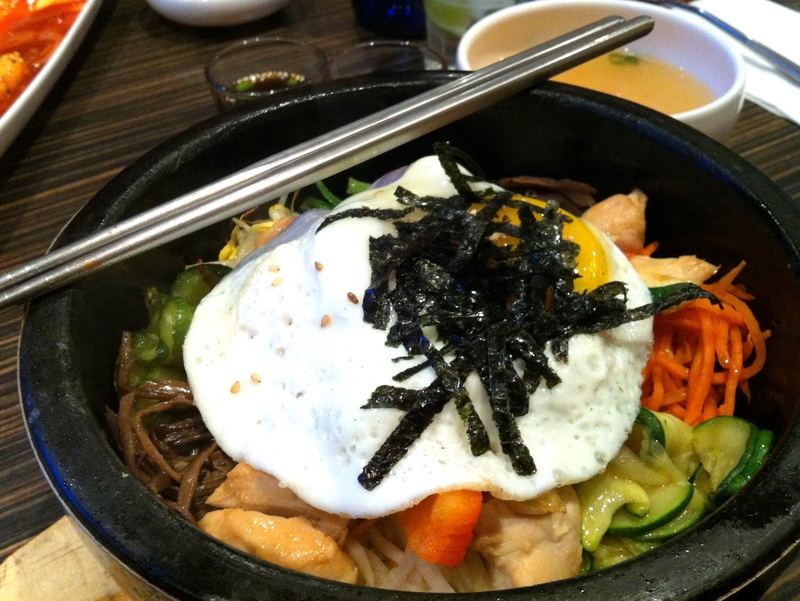 2) Korean BBQ Bibimbap at Bi Bim Bap Stonebowl Riceteria. Seriously though these toppings alone made the meal well worth it since I would never have so many specialty ingredients at home. Not to mention Korean food is so darn tasty what with all of its sauces and marinades not to mention the mother of all condiments (kimchi!!) Oh yeah and remember that part where I said it was made with brown freakin rice. I remember. This place was the best. So…are you a high maintenance patron or do you just roll with restaurant punches? Definitely a high maintenance patron! Those are two of my favorite affordable meals in Toronto! agree 100% with this post!